Learn to build and manage a list of friends. Chat and play games with your friends—you can even throw a party. One of the best features of Xbox Live is finding friends for an online game. As you build your list of friends by sending and accepting friend requests, you'll see the same list no matter which game you play. You can have up to 100 friends at a time. From your friends list, you can check your friends' profile information, including motto, name, location, and bio. You can compare game scores, submit player reviews, start a chat, or see a list of your friends' friends. Select Friends, and then Add Friend. Enter the gamertag of the person you want to send a friend invite to, and select Done. In addition to using the on-screen keyboard, you can enter information using a USB keyboard plugged into a controller port or the Xbox 360 Chatpad. Use the standard message or write your own, and then select Send Request. On your Xbox 360, sign in to Xbox Live. Select Friends, and then select a friend's avatar to see their profile. Press A again to select their gamer card. Gamer Profile: Invite your friend to chat, join a party, or play a game, send a message to your friend, compare scores, submit a player review, file a complaint, or remove the friend from your friends list. Personal Profile: See your friend's gamer card and personal information, including real name, bio, and location. See your friend's list of friends (unless they have blocked this option). Select the gamertag of the person that you want to remove. Select Remove Friend, and then confirm the action. You can also start an Xbox Live party. You can just hang out and chat, or start up a game and invite your party to it. To find out how, see Xbox Live parties on Xbox 360. 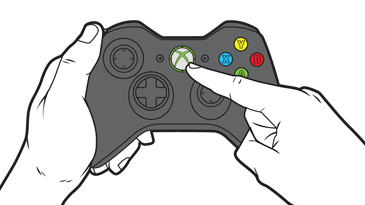 To learn how to set up chat using a headset or your Kinect sensor, see Xbox Live chat on Xbox 360. For information about how to send text messages to a friend, see Xbox Live messaging on Xbox 360. Would you like to contact Support regarding the "Find friends and connect on Xbox Live " issue you were reading about or a different issue?